Born at Carleton County, Ontario on 13 October 1865, son of Joseph and Jane Wallace, he was educated at public schools. He commenced a contracting career at Ottawa in 1894 then came to Winnipeg in 1904 and formed the contracting firm of Wallace and Akins in partnership with W. J. Akins. He was prominent in the Winnipeg building trades for over 30 years. In 1894, he married Georgina Crosbie of Ottawa, with whom he subsequently had three children: Joseph W. Wallace, George C. Wallace, and Mrs. W. J. Linton. 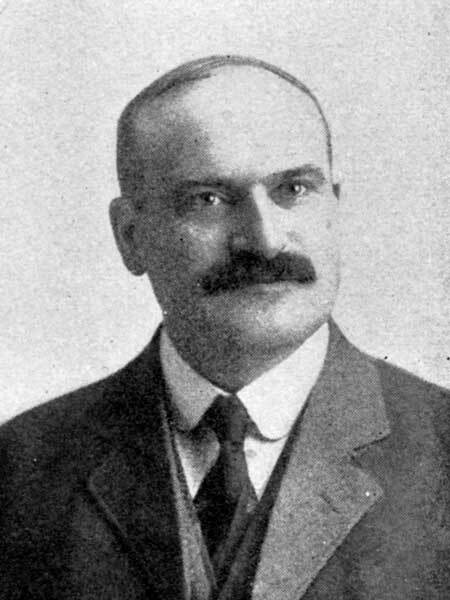 He served as a Winnipeg city alderman from 1908 to 1914, and a member of the Winnipeg Board of Trade from 1916 to 1918. He served as President of the Winnipeg Builders Exchange (1927-1929), Vice-President of the Knowles Boys Home, and a Director of the Winnipeg General Hospital. He was a member of the Winnipeg Gladiolus Society, Loyal Orange Lodge (No. 120), AF & AM (Assiniboine Lodge), Knights of Pythias, and IOOF. He died at his Winnipeg home, 172 Lanark Street, on 13 October 1936 and was buried in the Elmwood Cemetery. “John J. Wallace, one-time city alderman, dies,” Winnipeg Tribune, 4 April 1936, page 5. Western Municipal News, April 1936, page 100. Death registraiton, Manitoba Vital Statistics.